Collection of 'Must Have Smart Home Gadgets' from all over the world for your smart home. 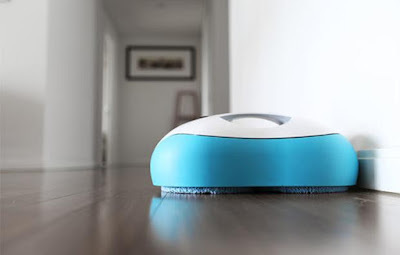 Everybot Robot Mop: If you are among those whose day passes of cleaning and maintaining your home then the Everybot RS500 robotic spin mop is for you. It comes with 7 cleaning modes, simple to use interface, and a remote control. It features a built-in motor, dual-spin mop and an auto water supply system that allow the robot to clean the floors effectively. It also features smartsensor system for safety that allows it to detect obstacles and avoid falls. Apart from these it also features cliff and lift detection. Pre-order: $229. 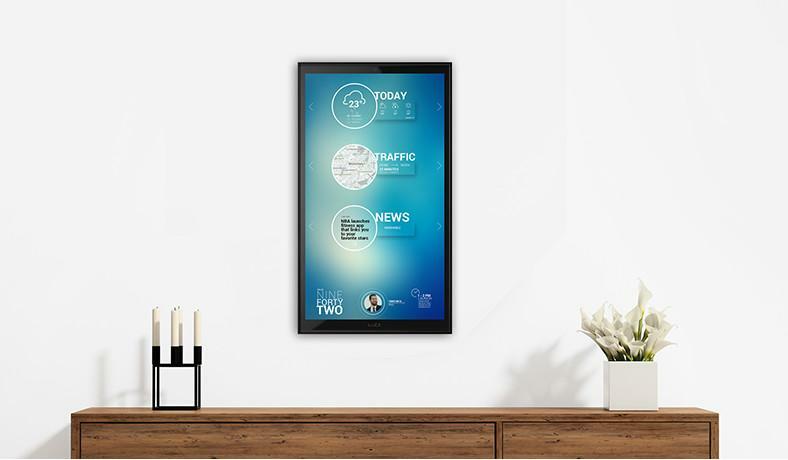 Lucy: Lucy is your digital butler that features a touch screen, HD camera and voice control to connect your smart home and your family. It can take photos and video and you can use her for video calls. It understands what you tell her, and speaks English and German. It comes with learning features - just say 'Lucy learn this' and you can teach her new things. Lucy will assist you and your family in your daily routines; you can set reminders, leave messages and more. 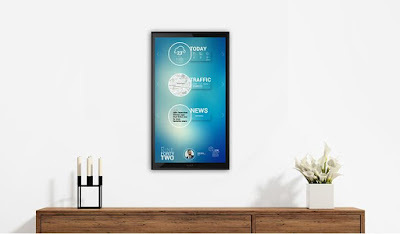 You can share your calendars, shopping lists, photos and more with your family. And she does a lot more. Pre-order: $459 - $799. 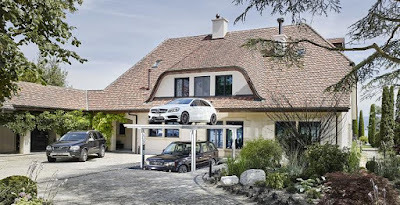 Cardok Multi: The Cardok Multi doubles your parking space at the touch of a button by providing you a lower and upper platform to park your cars. Use its remote control to lift your vehicles. These platforms can support a working load of 2-3 tones. More info. 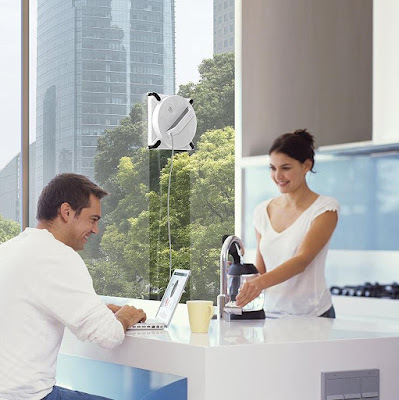 Caia: Caia is a smart robot that finds and redirects natural light into your home. She remembers where to send the light and keeps it there all day. Its powerful, portable and cost-effective solution that can be placed anywhere and requires no installation to brighten up your home with natural light. Pre-order: $229. 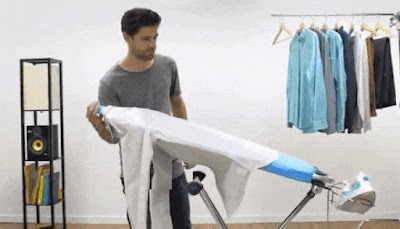 Flippr Ironing Board: The Flippr is a 2-sided rotating ironing board that's designed to shorten your ironing times by up to 80%. Just place your shirt on the torso shaped board, iron, flip, and iron again. It also features detail board that allows you to iron collars and sleeves. It's compact and can be wheeled around conveniently. Pre-order: $124. 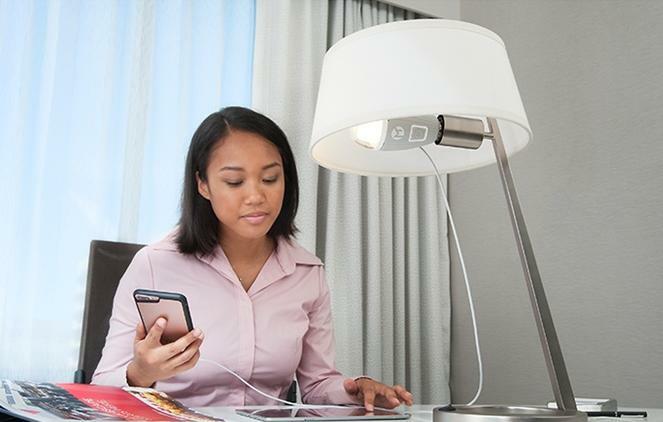 Haiku Smart Light: The Haiku Smart Light works along with Alexa for voice control, can be controlled using an iOS or Android device, and remote control. 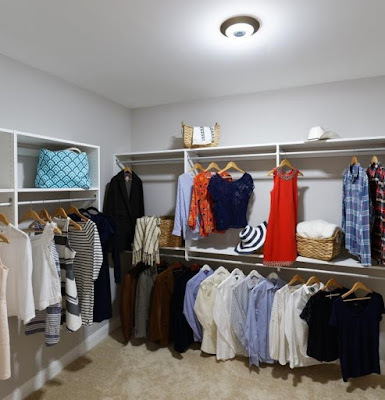 Its Occupancy Sensing feature responds to your presence and instantly illuminates your closet, bathroom, hallway, or laundry room when you enter. It comes with more than 2 billion unique feature combinations, can be put on schedule, automatically adjusts its brightness level, and more. Buy Now: $199. 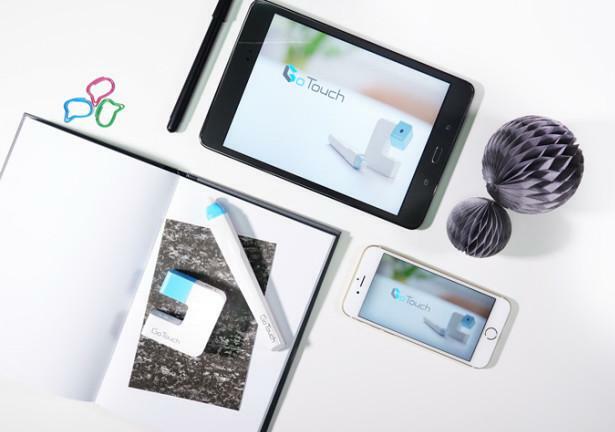 GoTouch: GoTouch is a portable, easy-to-use device that turns your TV or projector into an oversized interactive whiteboard. It comes with a special stylus to write over presentations, PDF files, videos, and web pages. You can invite others to your whiteboard for interaction and collaboration. It weighs only 63g; its pen transmits the input to your PC, smartphone, and smart devices via Bluetooth. It supports iOS and Android devices. Pre-order: $99. 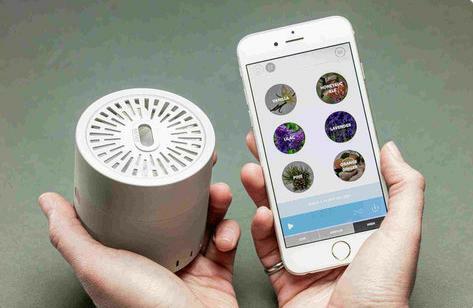 AirSense Smart Air Quality Monitor: The AirSense is a smart air quality monitor and ionpurifier that monitors your indoors and detects VOC elements and sends alerts to your smartphone. It also features two-way audio speakers that you can use as audio monitor, play music, and more. It comes with millions of light colors for entertainment or can be used as night or reading light and can be controlled using its iOS and Android app. It connects to your Wi-Fi network and gives you data from around the world. Buy Now: $149.65. PowerBulb: PowerBulb comes with dual USB ports that turn any lamp into a recharging station. It works with E26 and E27 sockets. And when the light if powered off you can still recharge you devices. Buy Now: $ 39.99. 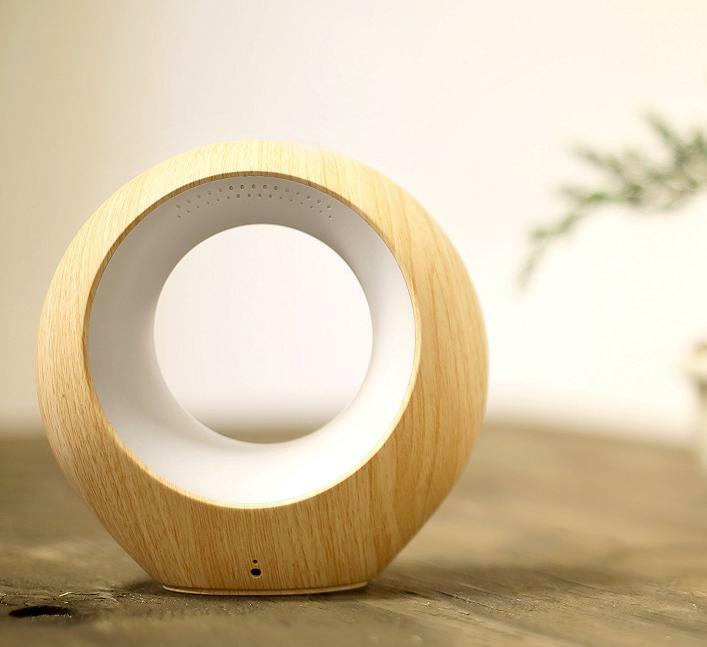 Cyrano: Cyrano is a scent speaker that plays scent like a sound speaker gives out music. You can control it using its app on your smartphone. Buy Now: $65. 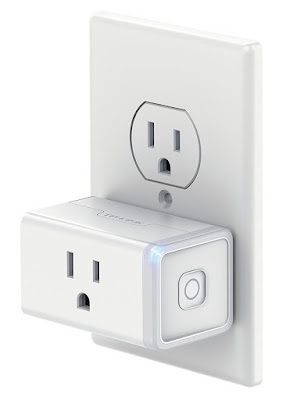 TP-Link Smart Plug Mini: The TP-Link Smart Plug Mini lets you control devices from anywhere using your smartphone or smart device. You can turn devices on and off, create schedules and set timers using its app. In away mode, your lights are turned on/off at random to create an impression that someone is at home. It works along with Amazon Echo and lets you turn your devices with voice commands. Buy Now: $34.99. Window Cleaning Robot: The Ecovacs Winbot W950 is a robotic vacuum that cleans your windows. It features 4-side wrap around bumper that identifies the obstacles and windowframe, and its edge detectionsensors enable it to work on the frameless window. Buy Now: $506.96. 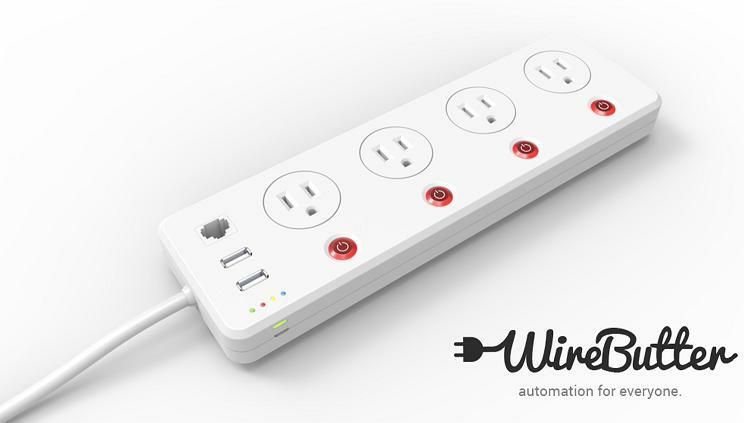 Wirebutter: Wirebutter is a smart powerboard that provides an all in one platform to control appliances, measure energy usage and communicate (wireless or wired) with other devices and third party vendor devices. It can communicate with other IoT devices or compatible gadgets through the wirebutter store. You can build your automation system using wirebutter to turn on lights, fans, and other appliances in your home. More info. 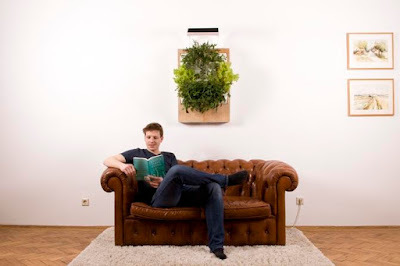 Herbert: Herbert is a hydroponic vertical farm for your home that's simple, clean and 40% more efficient. Its lets you grow salads and more in your indoor garden all year around. Reserve Now: About $390 (€369). 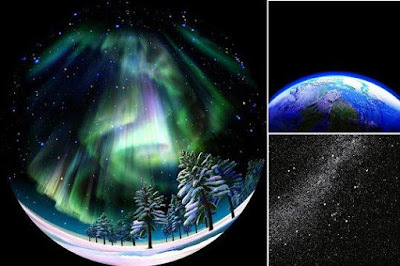 Homestar Earth Theater Home Planetarium: The Homestar Earth Theater Home Planetarium projects about 60,000 stars with astronomical backdrops. It lets you experience an amazing snowlandscape and northern hemisphere night sky with all its aurorabeauty, along with Japanese satellite Hayabusa orbiting the planet. It's like having a mini IMAX cinema in your home. Buy Now: $ 740.